March is Women's History Month, which gives us an excellent opportunity to take a fresh look at materials pertaining to women within the Robert D. Farber University Archives & Special Collections Department at Brandeis. Inspired by a few key items—a first edition of Charlotte Brontë's Jane Eyre (1847), the personal and professional papers of popular novelist Fannie Hurst, stunning black-and-white portraits of Gertrude Stein and Zora Neale Hurston—we decided to dig deeper into women's involvement in publishing, and we found some pretty wonderful things. We are delighted to share some of our findings with you on this blog, and we also invite you to join us on Tuesday, March 18, to see these and other items in person during our Women's History Month Show-and-Tell. 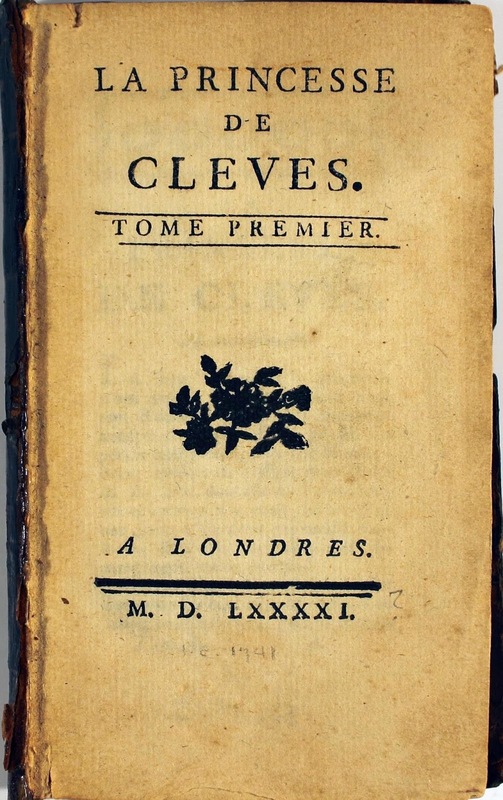 Originally published in 1678, this French novel centers on the romantic intrigues—and the psychological turmoil—of Mademoiselle de Chartres, who marries to become the Princess of Clèves. Its author, Madame de La Fayette, enjoyed considerable success during a period that was not known for celebrating women writers. 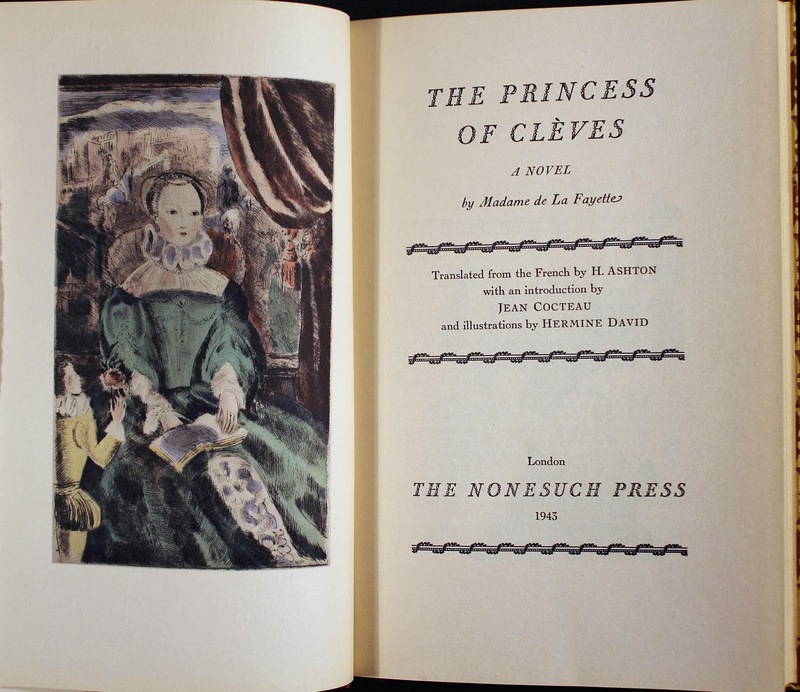 We hold a 1741 French edition of this work in our Rare Books collection, and a beautifully illustrated 1947 English edition from Nonesuch Press in our Fine Press collection. 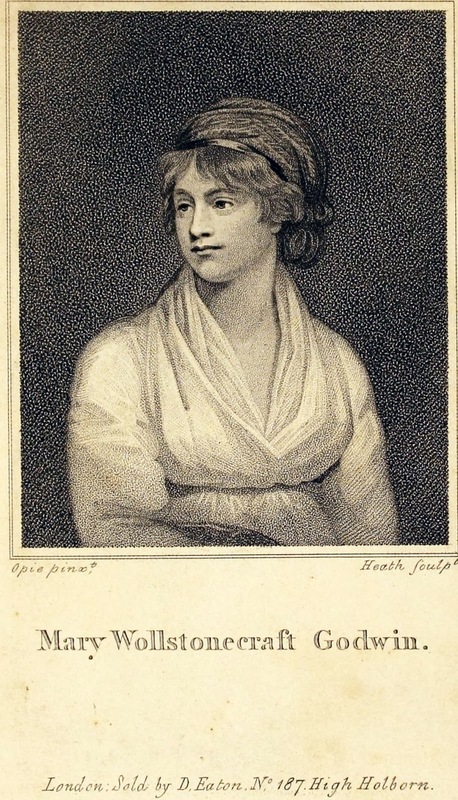 Mary Wollstonecraft's Vindication was a forceful argument for women's education, which Wollstonecraft believed was essential to the good of society. This controversial work was soon published in America and also translated into French. The 1792 first edition from our Rare Books collection reveals the book's humble appearance, bound in simple paper boards with an engraving of the author inserted at a later date. 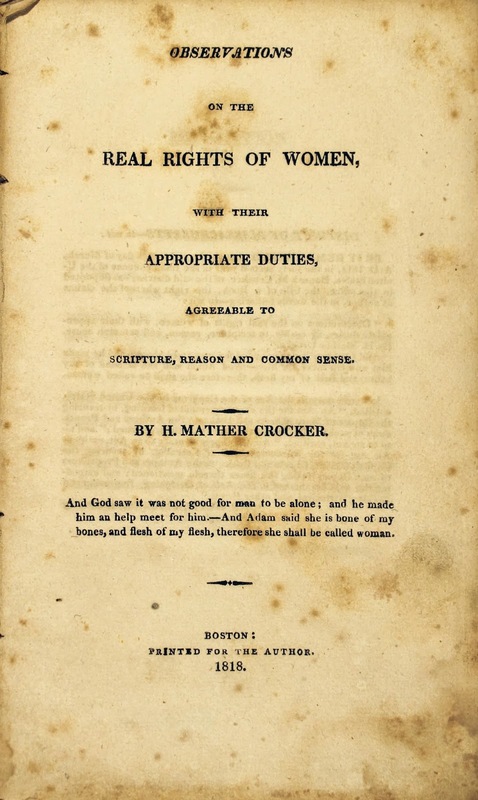 Hannah Mather Crocker wrote what many consider to be the first American counterpart to the Vindication—her Observations on the Real Rights of Woman. Like Wollstonecraft, Crocker argued that women's education is an essential component of a virtuous society. 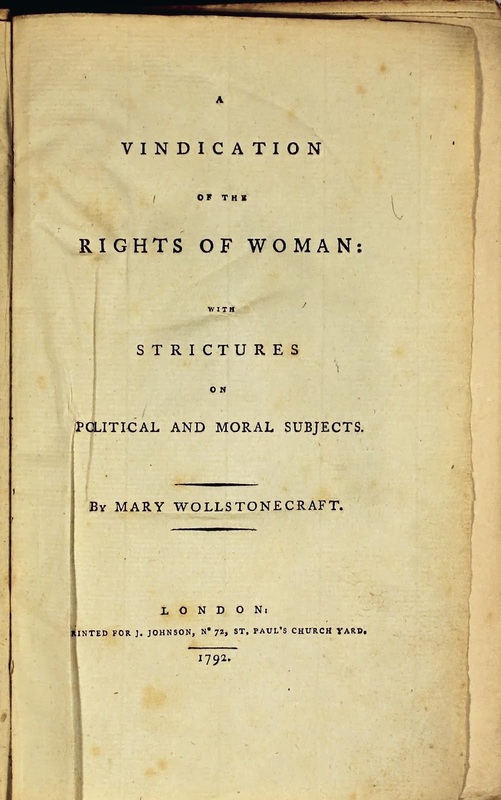 Our 1818 Boston edition is similar in appearance to Wollstonecraft's work—plain and unadorned, allowing the force of Crocker's argument to take center stage. 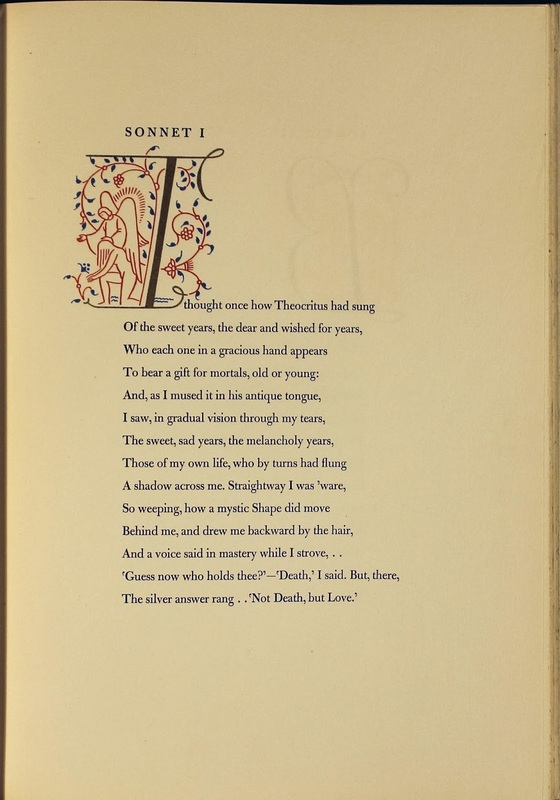 Representing a very different form of writing—poetry—as well as a lavish publishing style is our fine-press edition of Elizabeth Barrett Browning's Sonnets from the Portuguese. This modern reinterpretation of an illuminated manuscript, published in the 1940s by the Limited Editions Club, is an attractive and moving example of woman as both writer and subject. 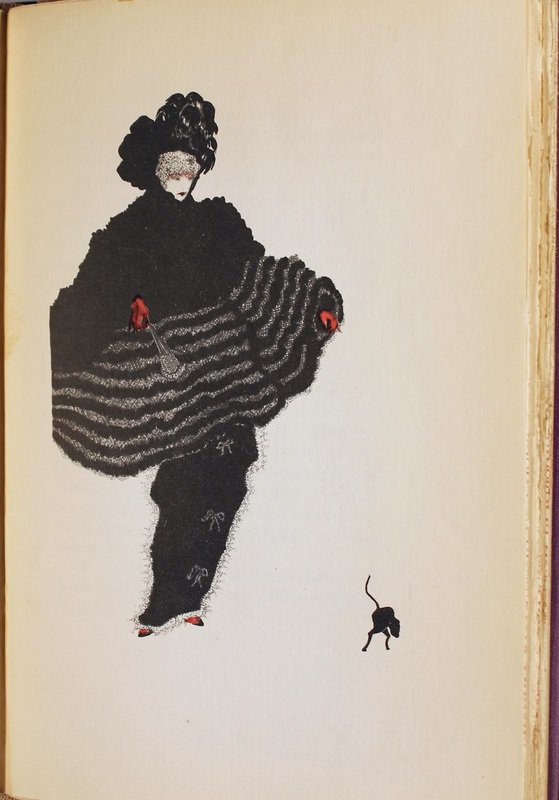 Among the more intriguing discoveries in our collection is the work of Majeska, who contributed vibrant, richly colored illustrations to a handful of novels in the 1920s and 1930s, many of which are centered on female characters and romantic intrigue. 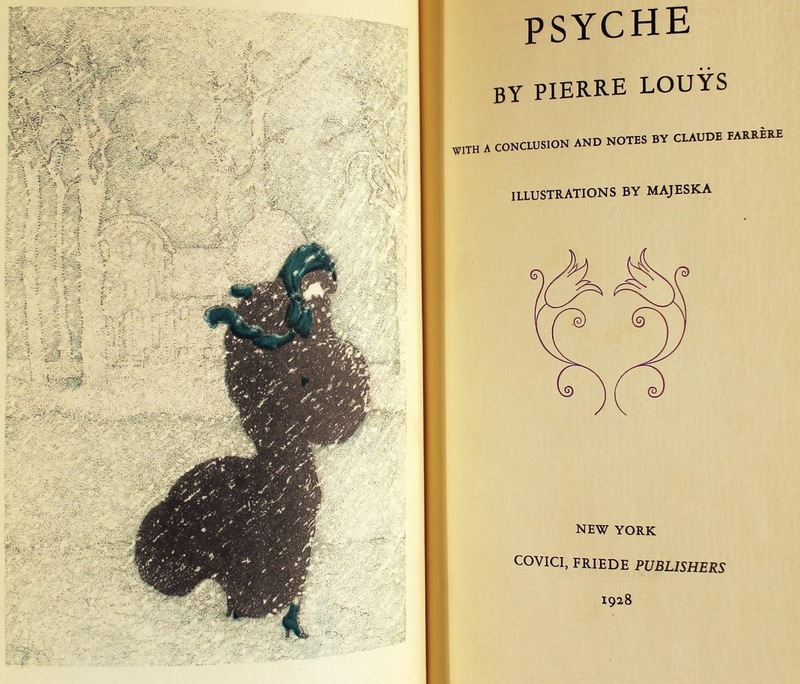 Our numbered copies of Sappho by Alphonse Daudet (signed by Majeska) and Psyche by Pierre Louys are gorgeous examples of illustration bold in both style and subject matter. 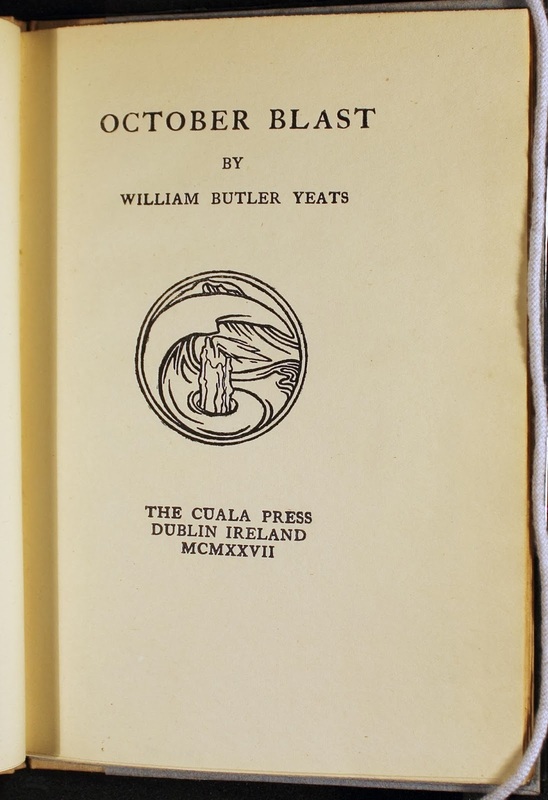 The Cuala Press was founded in 1908 in Ireland by Elizabeth Yeats, the sister of poet William Butler Yeats. Influenced by the Arts and Crafts style and her work with William Morris, Yeats published over seventy fine-press books, including much of her brother's work. 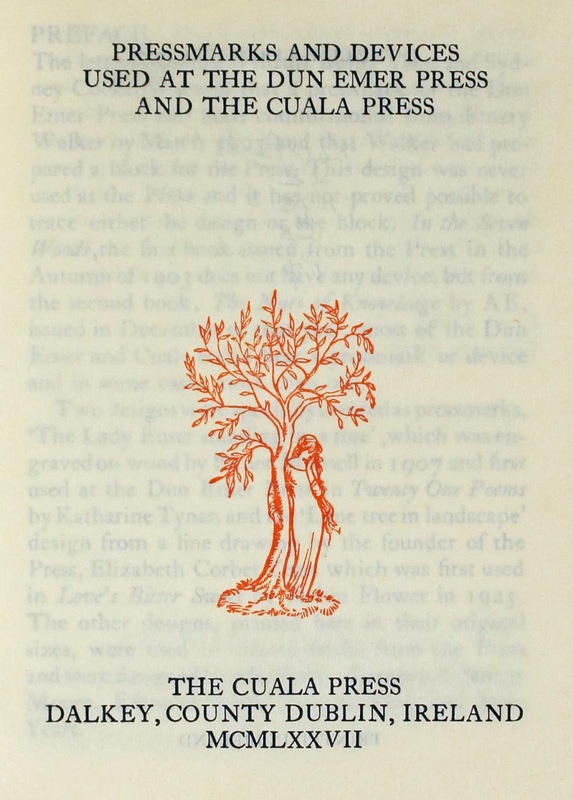 The Cuala Press was also notable for being primarily run and staffed by women. Our 1927 copy of W.B. 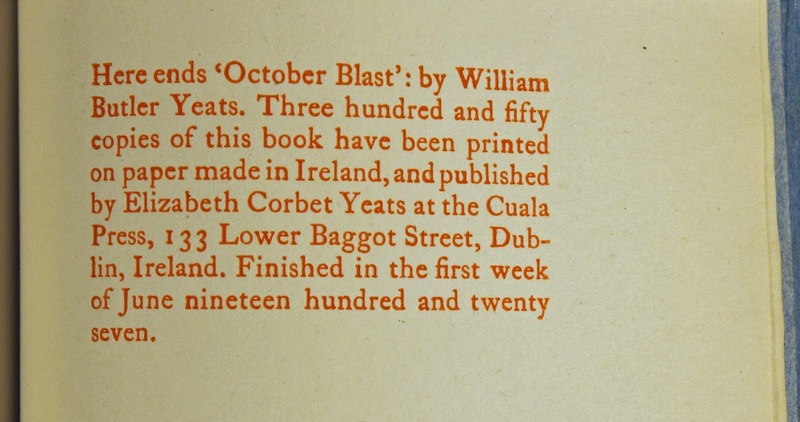 Yeats's October Blast showcases the Cuala Press's style, and this image from our book of pressmarks and printers' devices alludes to the central role women played in Elizabeth Yeats's work. 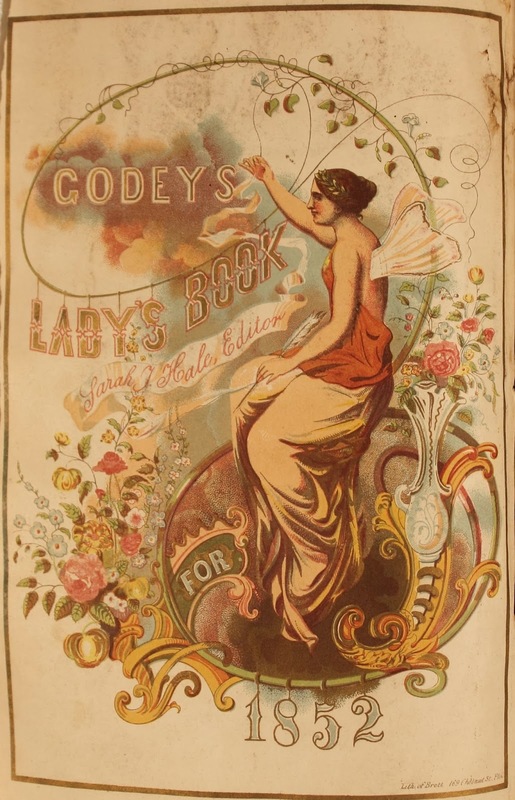 The nineteenth century produced several journals for women readers—and some of these, including Godey's Lady’s Book and American Jewess, were also edited by women. Sarah Josepha Hale, editor of Godey's, regularly contributed her writing and opinions to the popular publication; she also wrote fiction and the Woman's Record, an encyclopedia of important women from "creation" until 1868. 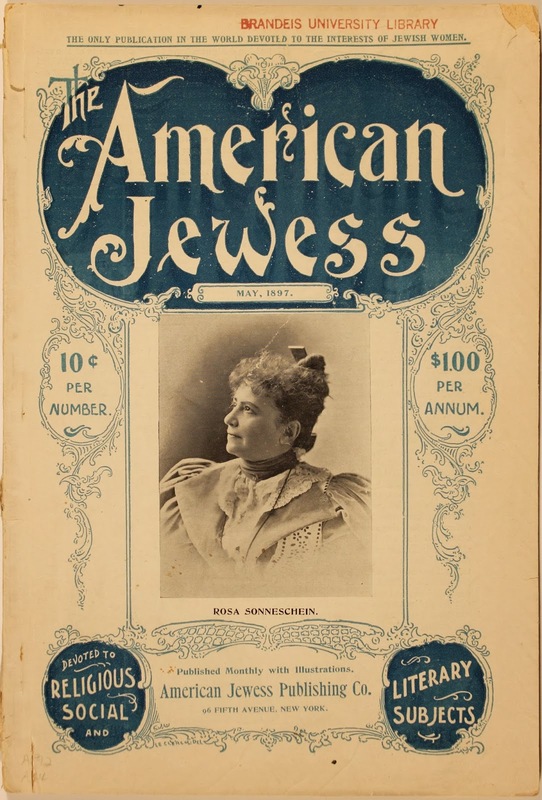 Rosa Sonneschein, both founder and editor of American Jewess, was also an advocate for expanding women's opportunities within Judaism. These publications evince a large and avid female readership, as well as the active roles that women played in the production of popular reading material. 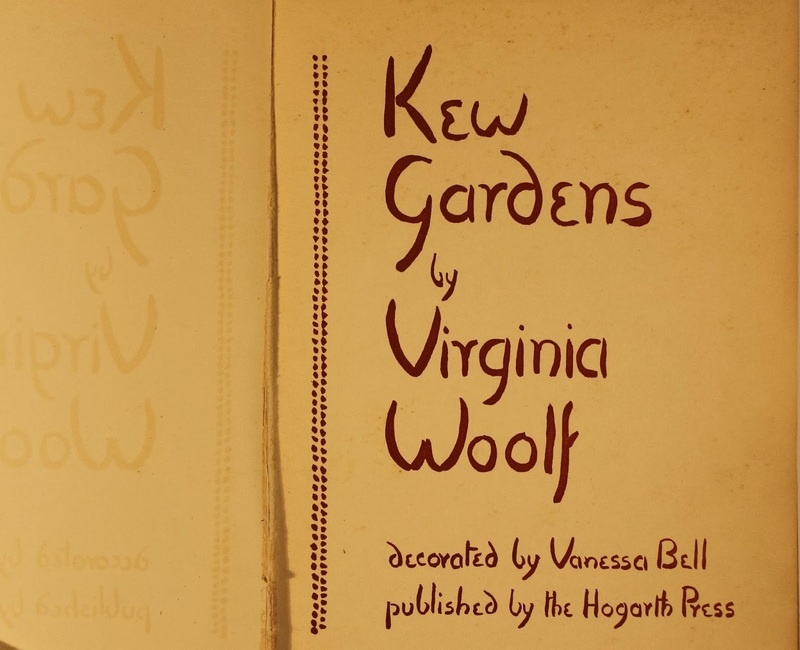 Monday or Tuesday (1921) and Kew Gardens (1927) are elegant examples from our Fine Press collection of the variety of women's work in publishing. 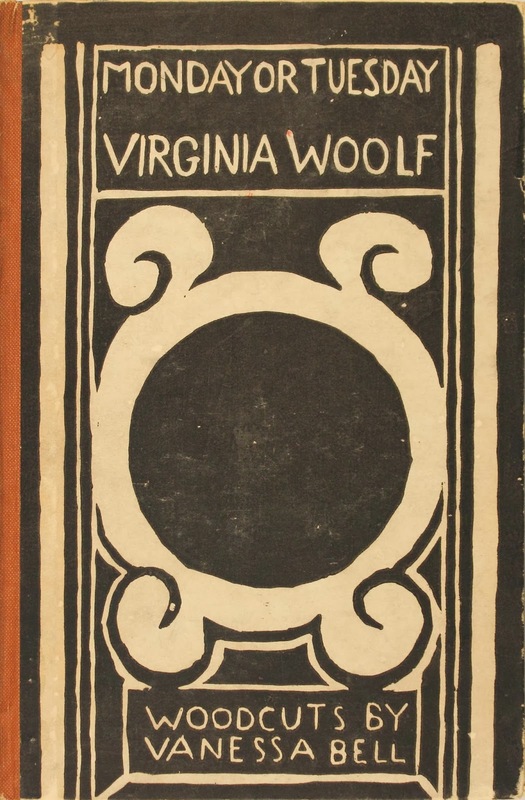 Written by Virginia Woolf, illustrated with woodcuts by Vanessa Bell, and published by Hogarth Press (the company founded by Woolf and her husband), these books neatly demonstrate the central roles women have played in the publishing industry, as well as the importance of publishing—from writing and illustrating to editing and producing—in the study of women's history. We hope this has piqued your interest in Women's History Month. To see these items and more, please pay us a visit!